Welcome to the Aviation and Transport Innovation Summit 2015! 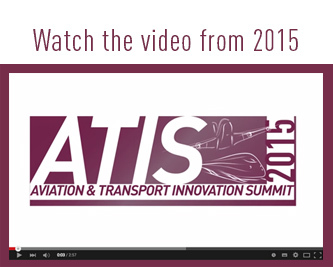 Don't be a passenger, help drive change in transport intelligence at ATIS 2015. 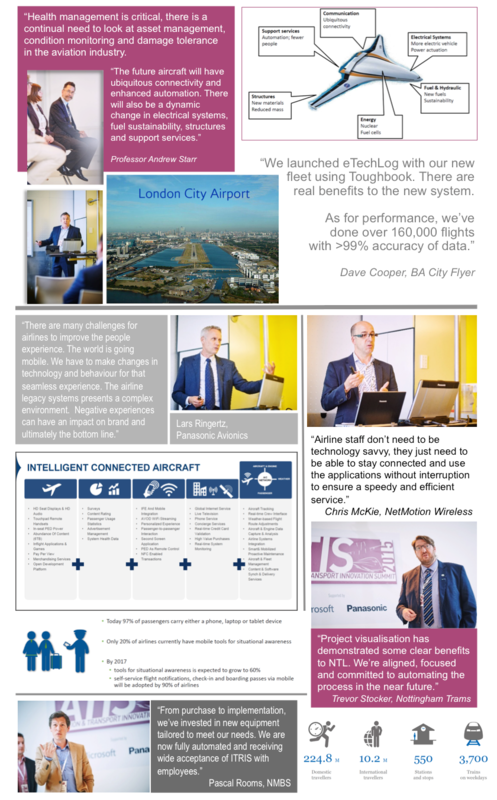 What's at the sharp end of mobile IT solutions for the railway and aviation industries? 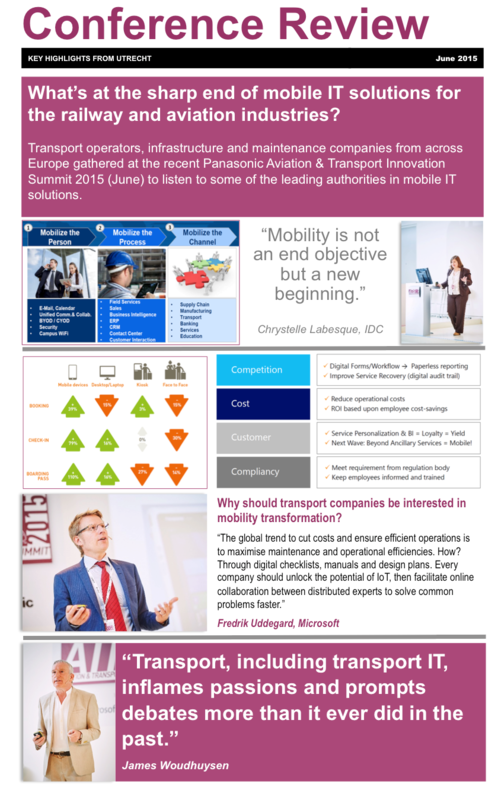 Transport operators, infrastructure and maintenance companies from across Europe gathered at the Panasonic Aviation & Transport Innovation Summit 2015 (10th June 2015) to listen to some of the leading authorities in mobile IT solutions. Railway and aviation executives gathered for the third consecutive ATIS event in Utrecht to hear transport visionaries and strategists outline their thoughts and challenges for the future. The key focus of the conference was that of mobility and how mobile IT solutions can improve productivity and performance. Speakers shared information and knowledge on how mobile technology had helped to streamline and upgrade operations, whilst known industry academics looked at what mobility trends mean for transport towards 2020 and beyond. Strategists provided an insight into how the direction of digital mobility is heading over the coming months and how this will impact on the avionics and railway sectors. Speakers included representatives from BA City Flyer, Pegasus Airlines, Belgian Railways, Frankfurt Airport, Finnair and Nottingham Trams Limited. Renowned academics Professor James Woudhuysen from De Montfort University and Professor Andrew Starr from Cranfield University looked to the future whilst IT specialists and strategists from Microsoft, Sierra Wireless, NetMotion Wireless, IDC and Panasonic provided an insight into how they're shaping the direction of digital mobility over the coming months to support the avionics and railway sectors. 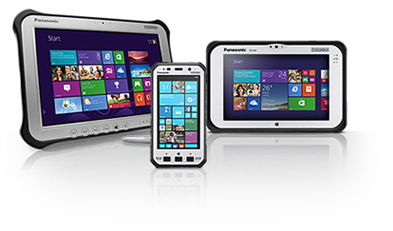 "From a futurologist's viewpoint, to innovative mobile solutions that have been deployed within the railway and aviation sectors, there really was something for everyone," comments Mark Thorne, Director, Panasonic Computer Product Solutions. "Our objective was to provide a platform for customers and strategic partners to share best practice and debate the challenges ahead for the market. The event was great, it was an informative day for all." Presentations and videos from 2015 event are available on this website. An in-depth look at the influence of IoT and connectivity on the move. How transport operators can maximise maintenance and operational efficiencies by using M2M technology. The latest developments in mobile computing, device trends and operating systems for aviation and transport industries. How to choose the right IT mobile solution for railway operation, airport control, check-in, face recognition, EFB/ERB standards and more. How the provision of ETL has transformed working practice and efficiencies. Internet connectivity on aircraft is quickly becoming a reality. The speaker will give an insight into state-of-the-art IFEC(Inflight Entertainment and Connectivity) systems of today and highlight how airlines are looking at utilising it to enhance service, increase efficiencies and generate revenue. With more than 1,000 rugged laptops and tablets deployed, hundreds of aircraft arriving and departing per day, and over 600 mobile workers on the job, Fraport AG, owner/manager of Fraport International Airport uses a wide-array of mobile technologies to ensure worker productivity. This presentation will look at both the strategic and technical components of Fraport's mobile deployment. GSM-R - the future connectivity platform for railway? How to deploy a system that uses a commercial public cellular network or one based on the European Rail Traffic Management System (ERTMS)'s. Is GSM-R the new standard for private railway infrastructure. Case study: Nottingham Trams Limited (NTL) is undergoing a joint venture between Nottingham Council, Alstom and Keolis to deploy a visual management system (VMS) to help control line efficiencies. With the planned tram line expansion currently behind schedule, NTL asked Evolute360 to initiate a VMS programme to identify key performance issues. The case study will show how PwC is supporting the Belgian Railways with the implementation of new mobile devices, from concept study to user acceptance. 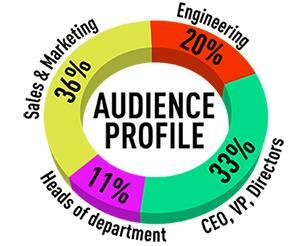 PwC not only runs the Project Management Office for the ITRIS project, but also brings subject matter expertise in various domains through its international network. Speaker: Pascal Rooms, Team Coordinator Support Tools, NMBS and Christophe Verniest, Manager, PwC. To view this section you must enter the correct password.